Days: Thursday. Event Types: Author Signings. Sectors: Author,Illustrator. Subjects: Middle Grade. 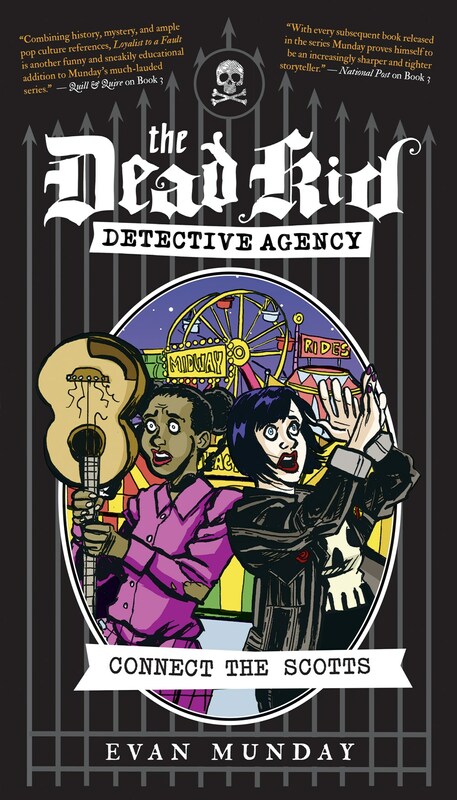 Evan Munday, author and illustrator of Connect the Scotts: The Dead Kid Detective Agency #4, will be signing in the Canadian Manda Group booth #312/314 on Thursday at 11:00 AM. While investigating the cause of Tabetha Scott’s death in the 1860s, October and the Dead Kids discover that Sticksville served as an endpoint for the Underground Railroad. But October finds herself with even more detective work after some new musically inclined chums are incriminated in a robbery.